Looking for the right TV wall bracket? 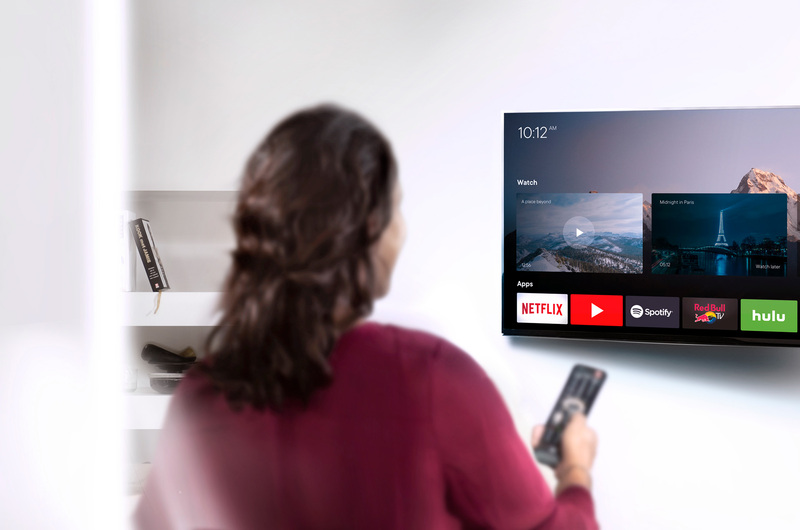 Use our wizard to find which TV wall bracket matches your TV perfectly in just a few simple steps. At One For All we design reliable and versatile TV brackets using up-to-the- minute technology to ensure your TV is positioned perfectly in your home. Our wall brackets guarantee your television is at the right angle for optimal TV viewing, so you can enjoy watching your favourite programme with your family in comfort. Our brackets have the freedom and flexibility to move up to 84” TVs to the perfect position in your room. Tilting, swivelling or rotating from 180% horizontal to 20% vertical with ease and precision. 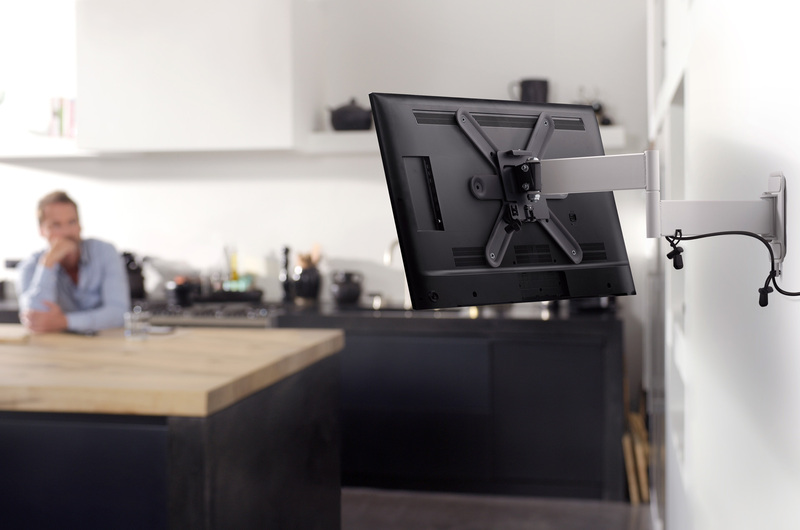 Ideal for corner mounting, which means no more straining necks or dealing with glare. Whether you wish to create a home cinema in your living room or have an extra TV in the corner of the kitchen, our design team have created well-thought-out TV brackets which are modern-looking, functional and compatible with all TV brands. Our smart engineering uses durable materials and features ultra-slim design, dual-arm technology and a click and release system. 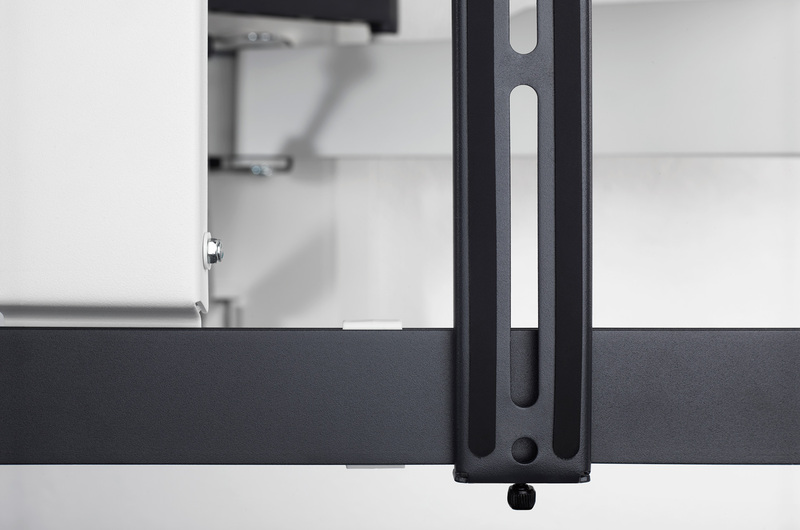 With innovational One For All engineering realised in the Netherlands, our experts produce high-quality brackets with a robust design and lifetime warranty for any type of LED, plasma or LCD TV. One For All wall brackets are thoroughly tested to ensure your TV is safely secured against the wall. Guaranteeing worry-free protection. Need help finding a TV bracket which is compatible with your TV? We have a TV bracket guaranteed to work for your TV. 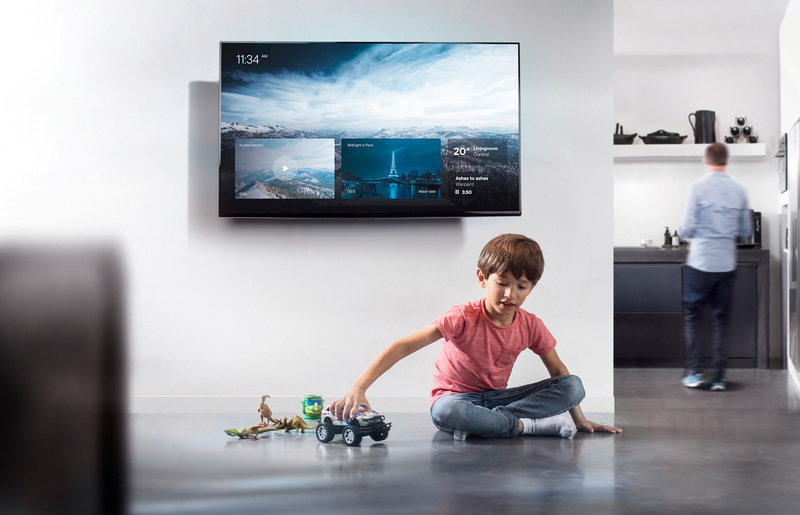 What is the best TV bracket? How to wall mount a TV?